The Canadian rapper has tied the ‘Yeah!’ singer for the most weeks at the top of the chart in a calendar year. 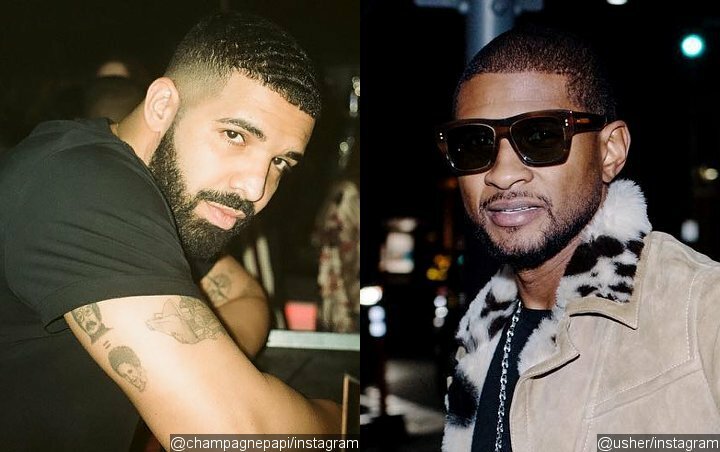 Drake has tied Usher for the most weeks at the top of the U.S. pop charts in a calendar year. The Canadian rapper’s “In My Feelings” has landed a ninth week at number one, taking his run of 2018 chart-toppers to 28 weeks. That matches Usher’s feat in 2004. Drake has chalked up his 28 weeks on top with three hits – “In My Feelings”, “God’s Plan” and “Nice For What”. Meanwhile, Eminem debuts two songs in the new Billboard Hot 100 – “Lucky You”, featuring Joyner Lucas enters at six, while “The Ringer” jumps in at eight, giving the rapper his 18th and 19th top 10 hits and his first since “The Monster” hit number one in 2014. Maroon 5‘s “Girls Like You”, featuring Cardi B, stays put at two for a fifth week, while Cardi B, Bad Bunny and J Balvin‘s “I Like It” holds at three. 6ix9ine and Nicki Minaj‘s “FEFE” jumps up a spot to four, switching places with Post Malone‘s “Better Now”, which rounds out the new top five.